Well furnished spacious rooms equipped with modern amenities for a relaxing and enjoyable stay. Located near National Gallery Of Modern Art, Pavana Residency is a good stay to enjoy unparalleled comfort. 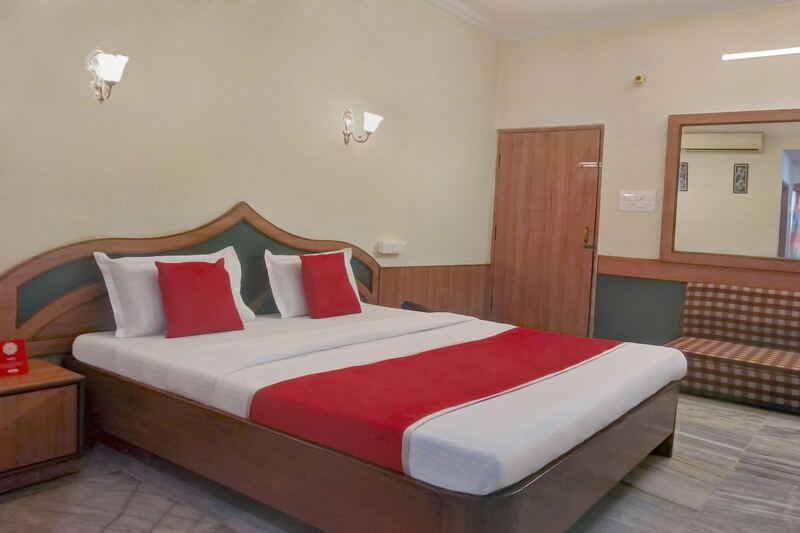 The bedrooms at the hotel have light colored walls and modern wood furnishings with several paintings adorning the walls and one of the walls painted a bright color, thereby lending the rooms a bright and cheerful ambience. The presence of the CCTV cameras ensures that guests stay in a safe and secure environment. Other amenities offered by the hotel are free Wi-Fi, power backup and a card payment option. The area is located nearby the local attractions like Hal Heritage Centre and Aerospace Museum, Anjanadhari Apartments, Vishweshwarappa, Jawaharlal Nehru Planetarium and National Gallery Of Modern Art.